How would you define a crisis? The word crisis always sounds catastrophic, but actually for me, it is anything at all that has the potential to damage your company’s reputation. Over the years, we have dealt with issues from social media complaints through to employees being charged with serious criminal offences, and pretty much everything in between. At the time, all of the issues we have dealt with were deemed serious enough in their own right to warrant dealing with correctly and ultimately, how you respond to any of these things will have a bearing on how you will be viewed by your stakeholders and future customers. We always advise our clients embarking on a positive PR programme to consider crisis communications and integrate it into their organisation. There’s always a natural risk when putting your brand in the public eye that if a situation arises, it will attract more attention. What are the key aspects of an effective crisis communication programme? How important is preparation? Preparation is crucial in crisis communications. Even if the preparation is limited, it is still much better to do something than to do nothing at all, which will likely leave you playing catch up when a situation does arise, which in turn can make you look bad in the eyes of your stakeholders. We have provided support to organisations of all sizes in putting crisis management policies and procedures in place and delivering crisis simulation and face-to-face media training. In addition to this, we support a number of people in the face of crises and it’s an aspect of our job that I really enjoy and I find it very satisfying when we are able to help a client to manage a particularly challenging situation. How important is the spokesperson? Choosing and training a designated spokesperson is critical to successfully handling a crisis situation. If required, their credibility, sincerity and humility in the spotlight will have a significant bearing on the company’s reputation remaining intact (and even potentially improving if handled particularly well) – people often don’t remember the details of a crisis, but they tend to remember how a company behaved and handled themselves. Having overseen numerous media training sessions, it is not always the obvious members of a Senior Management team that will come across best under this type of pressure. It is important to be open and honest about who will be the best representative for the company – leave egos at the door! It’s also worth thinking about who will stand in should that person be ill or on annual leave. Another tip here is (where possible) to separate the people handling the operational side of a situation from the spokesperson, who should be focused on being the voice and the face of the company. Both internal and external audiences are of equal importance. The default setting tends to be to focus on external stakeholders, but your employees can be important in delivering your message in a trusted way. Employees should not be talking to the news media, you have your trained media spokesperson for that, but if friends and family ask questions, employees should be fully informed on what to say. They should receive accurate information about the crisis, which they are allowed to use. They are a trusted and viable channel and if not kept fully briefed, will rely on potentially damaging hearsay. What role does social media play in crisis communications? We’re seeing an increasing number of crises emerging through social media, meaning it is important that social media teams monitor effectively and that they have a sound understanding of the protocol in flagging, acknowledging and responding to such correspondence. Key messages need to be coordinated across channels, so they need to work closely with the crisis communications team. Social media can give you a rough (and immediate) indicator of how people are reacting to that messaging and to your response in the face of a crisis. To finish up, what would be your top piece of advice for someone approaching crisis communications? I think it would be to link it to the rest of your communications and ensure that the way in which you deal with a given crisis reflects your company values. 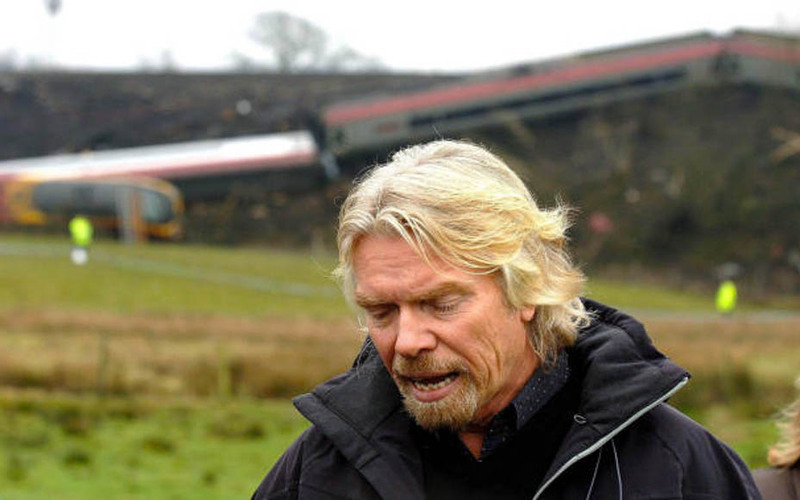 A great example of this that always sticks in my head was Richard Branson’s handling of the Virgin train crash in Cumbria. He cut short a family holiday to visit the scene of the accident in person and when addressing the press, gave positive, complimentary and dignified comments throughout, ensuring that Virgin maintained good relationships with all of its key stakeholders in the face of a catastrophic situation.